Niagara Industries Inc, has provided for Three decades "state of the art" excellence in the design, development and marketing of Electronic Tankless Water Heaters. The results of this experience has been outstanding improvements in their performance, effciency and reliability. One such example is our newest version of out line of Titan Electronic Tankless Water Heaters Series. The new Titan-N-120 SS patented digital control system technology. Among all these feature the New Titan-SCR2 Series also features a new outlet temperature display feature that allows you to see and control the units outlet temperature. Also the new N-120 SS comes with a 2 year parts / 10 year leakage warranty. 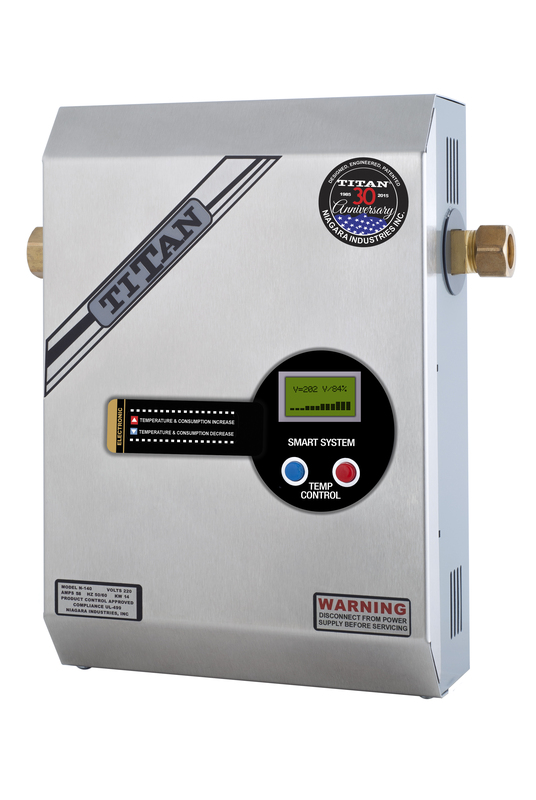 TITAN® the name by which all other tankless water heaters are measured.